The nose is first marked by citrus fruits (lemon) and then by grass and finally iodine and peat on a background of smoke. 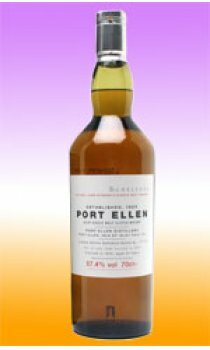 The rather complex taste is marked by the degree of alcohol and varies between peaty smoke and barley with a slight after taste of wood or hazelnuts, and some chocolate hints. A very nice finish, even if it becomes dry after a few minutes, with hints of dried fruits (hazelnut, nut) and a very pleasant touch of spices and some woody impressions.